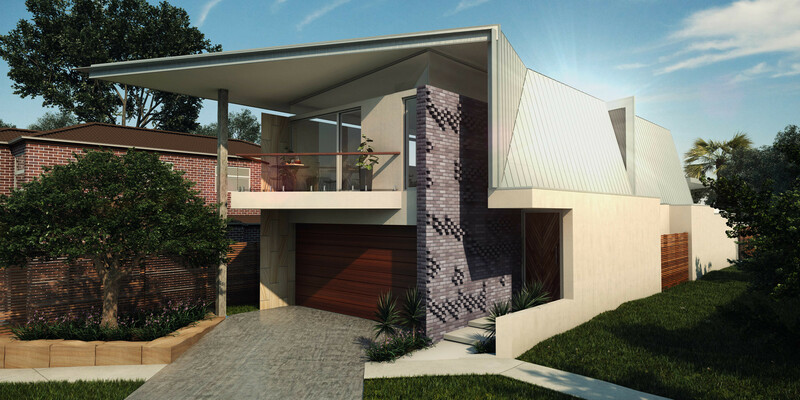 Destech builders are a high end residential construction company turning the visions of Sydney’s most gifted Architects into reality. 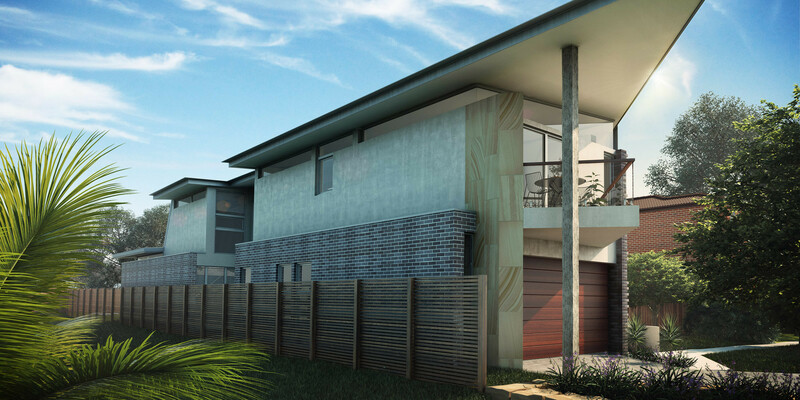 Destech has also been active as an accredited contract builder for another client of ours, the NSW Department of Housing for over 30 years and have completed over 27 Residential projects. Now situated in Clovelly, NSW, this private residence designed by leading Sydney firm Sarkis Hill Architects boasts some wickedly exciting form and finish which really catches your eye at first glance. From the sharp long protruding front roof awning to the aggressive slanting zinc along the sides there is nothing typical about this design. 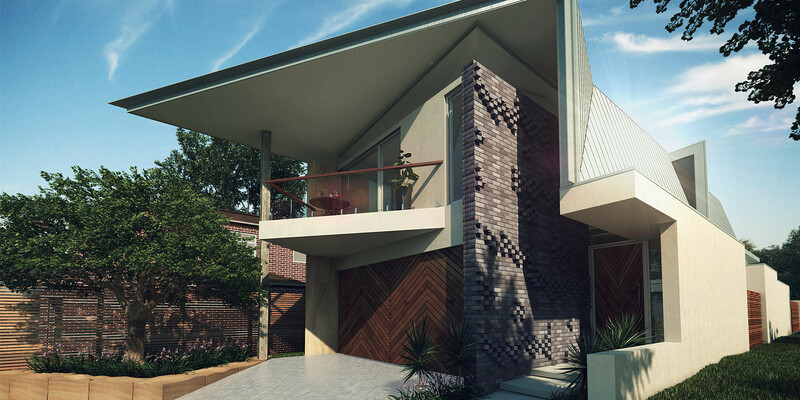 Rotated feature brickwork, triangular dormer windows, recycled timber and glazing galore this is not only an amazing 3D visualisation, but a truly inspiring home to live in and call your own. Our team produced two artist impressions for our client who simply wanted to visualise the finishes and make appropriate selections prior to ordering. Whilst often seen as cost prohibitive this only prove the opposite as this small investment assisted our client confirming and/or changing their material design decisions prior to ordering preventing risk and possible rework. Spend a little to save a lot, but risk aside sometimes it’s just great to be able to visualise something prior to construction to cement you made the right decision. And they certainly did!